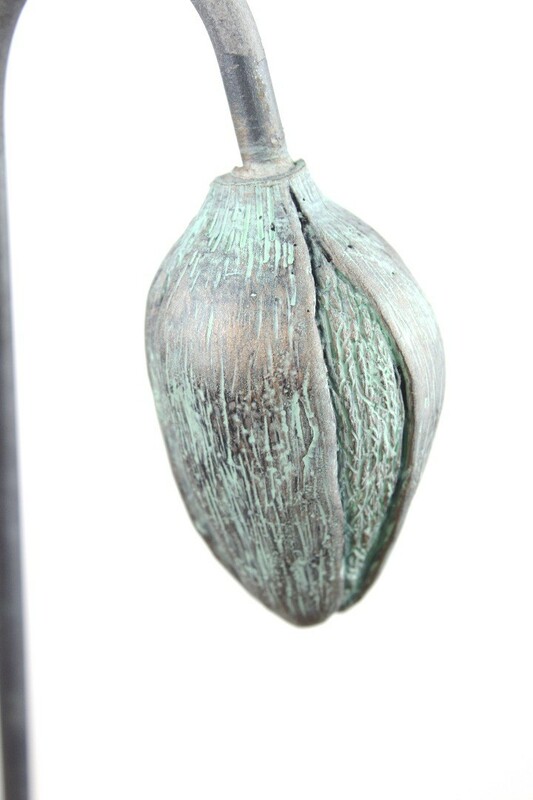 This delightful poppy bud garden sculpture allows you to support plants as they grow and give you year round interest when the flowers have gone. 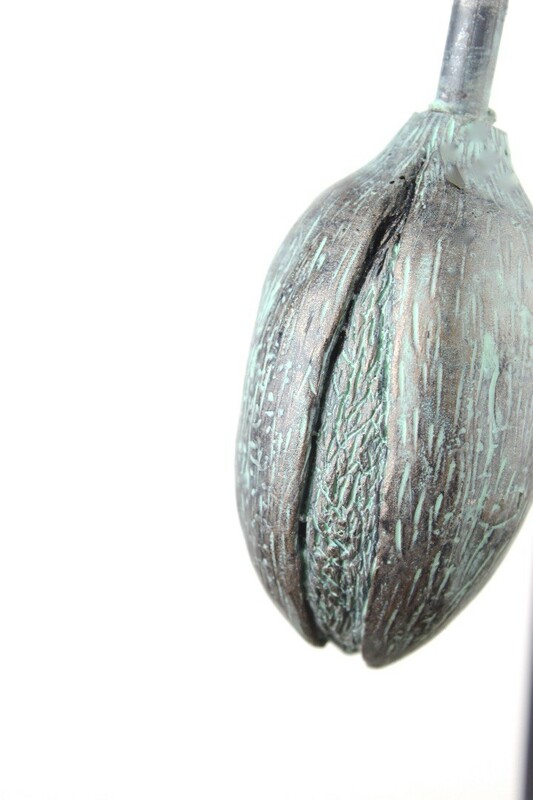 Mounted on a 115cm tall stem and finished with a bronze verdigris effect cast resin bud which is frost and weather resistant. The bud itself droops down as if ready to lift its head to the sun and burst into glorious bloom. 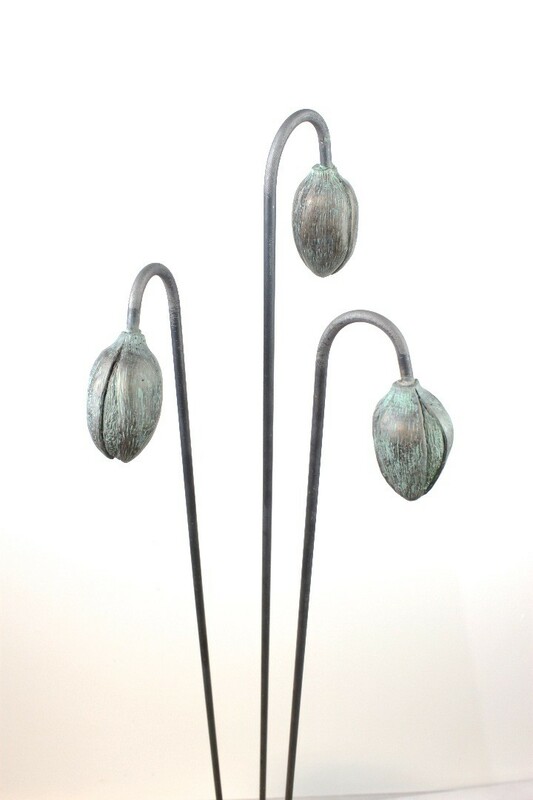 This looks great when displayed with poppy flowers and poppy seed heads showing the life cycle of the poppy. 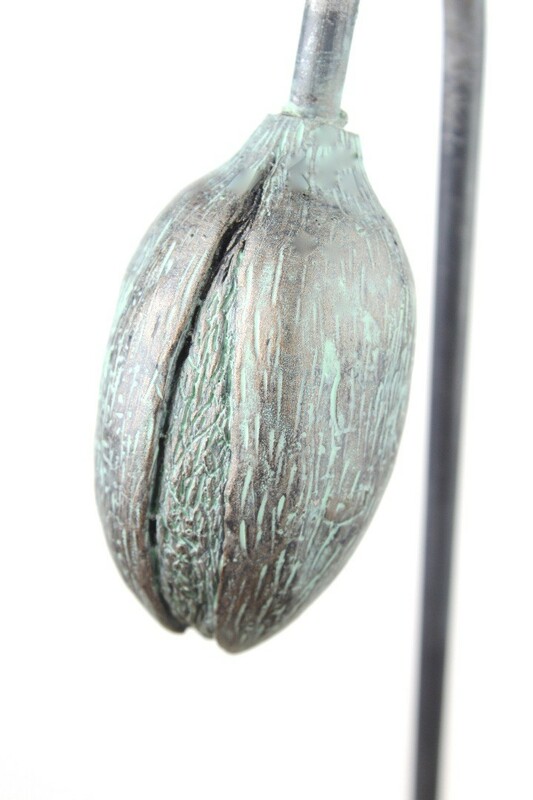 This sculpture has been designed with the popular oxidised metal stem option. 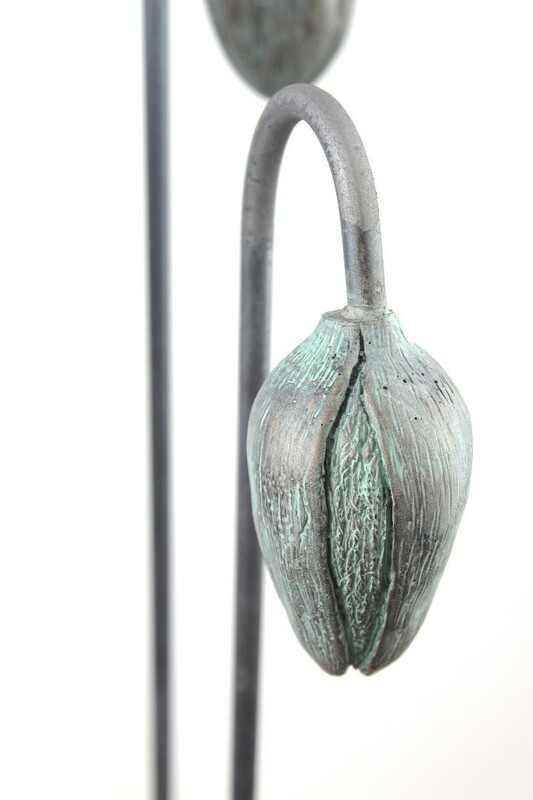 The stem will be sent to you with the pole looking grey in colour but when placed outside it will quickly oxidise to produce a lovely soft orange colour that will look stunning in sun light and against the bronze verdigris green effect and the green foliage around. It is perfect for the rustic style shabby-chic garden giving you many years of pleasure. If you would like to commission this to be made with a different finish stem to match other items you have please contact me to discuss. Commissions can take up to 2- 3weeks to deliver but is usually quicker.